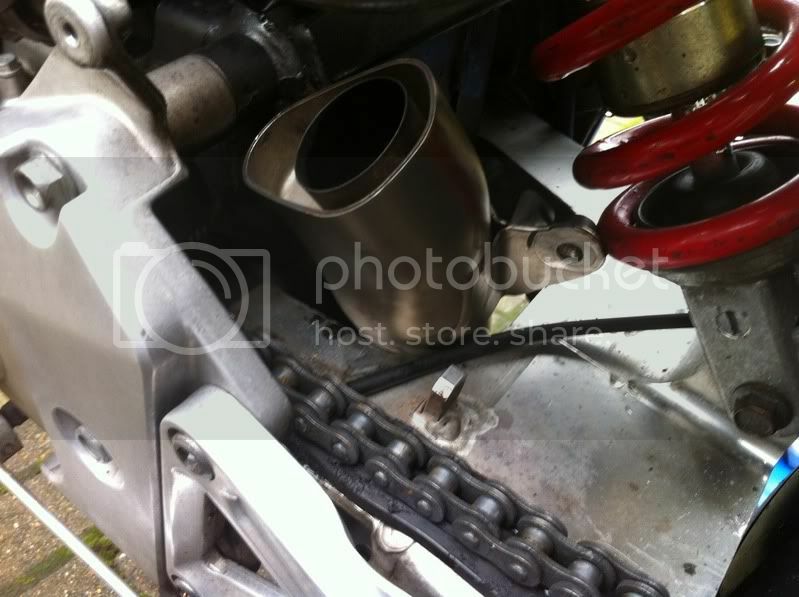 hondahornet.co.uk • View topic - New Akrapovic! I'll be sure to put up some pics and vids after fitting although it could be a week or two! "Four wheels moves the body...Two wheels moves the soul"
Last edited by Hornet250 on Tue Sep 11, 2012 9:00 pm, edited 2 times in total. Post subject: Re: New Akrapovic! But i can still see it? i tried logging out and i could still see it? nice... I bet that is expensive? Actually not too bad. I picked it up for £100 shipped. It's used but doesn't have a mark on it! Very nice,But let's interval too far away. But let's interval too far away. The way it was mounted it was not sealed at all and was just slid over the manifold with loads of Room around it so I think it will sound even nicer when it's fitted properly, need to find some stainless tube though. Got my 'link pipe' made up so I think I'm ready to slip it on tomorrow! 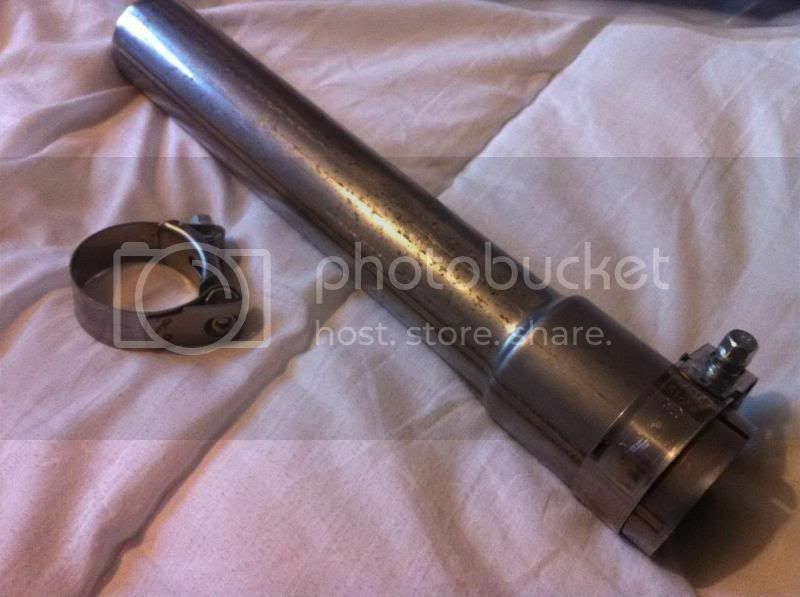 I got a guy off ebay to make me a foot long 45mm stainless tube with a larger diameter at one end (51mm) and slits to clamp on to where im cutting the stock pipe. Tidy clamps arrived too. Could do with a polish though! What kind of change was needed jetting wise for that exhaust? got one myself but i want to re-jet to prevent leaning out.